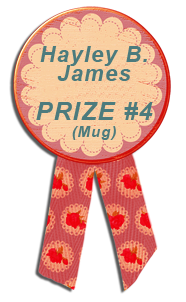 Follow the Rainbow Blog Hop Winner! Hello all! Wow, this has been such a fantastic event! I want to thank everyone who took the time to stop by, as well as those of you who left a comment. Your wonderful compliments mean a great deal. I hope that those folks who have considered giving Historical MM Romance a try, do so. There are some truly wonderful stories out there of men living and loving during eras long gone. From adventure to mystery to drama, I'm sure there's a Historical MM Romance out there for you! Now, the fellas will announce my blog's winner for this hop! Congratulations Katey! You'll be receiving an email soon to confirm delivery of your prizes! Again, thank you all so much for participating in the hop! Have a wonderful week and I hope you visit again real soon! 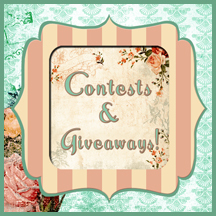 Welcome to the Follow the Rainbow Blog Hop! Hello everyone! In celebration of Follow the Rainbow Book Reviews new review site, they're hosting a blog hop where authors of GLBTQ literature have been invited to join in and share their thoughts on what writing GLBTQ stories means to them. Along with all those amazing authors, several publishers are also taking part and offering prizes. For a list of prizes available from both Rainbow Book Reviews and Publishers, as well as rules for those prizes, click here. What does writing GLBTQ literature mean to me? This is a very good question, and one that every author has a different answer to. For me, it's about love. It may seem kind of cheesy, but hey, I'm kinda sappy that way. I think as a society we've come a long way, but we still have a long way to go. Our views of what is and isn't masculine and feminine is changing, as it should. Everyone deserves the freedom to be who they are deep inside without the fear of prejudice or hatred. I write because I love to write, and what I write stems from a belief that love between men is as beautiful as the love between a man and a woman, or a woman and a woman. People deserve love and respect no matter their gender. 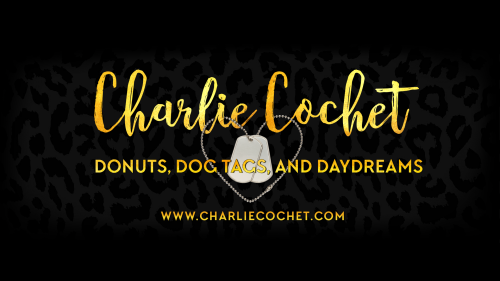 For those who may not know me, hi, my name is Charlie, and I write Historical Gay Romance. Though you probably guessed as much from my blog's banner. I've always been fascinated by the 1920s and 30s, and reading about some of the gay men that lived during those times can be heartbreaking. During those periods in the US (as well as several countries), Homosexuality was considered an illness, and in the 1930s, men could get arrested at a bar for simply "looking homosexual". They were dangerous times with many men leading double lives. The 1920s brought the GLBTQ community into the light, while the 1930s did it's best to once again bury it, but it was always there. 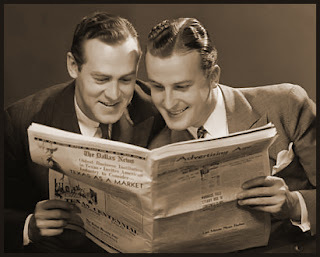 I read quite a bit of pulp from the 30s and 40s, and in those pulp novels, gay men were almost always either portrayed in a negative light or their lives ended in some heartbreaking tragedy. I wanted to write stories where men in those time periods got their much deserved happily ever afters, whether they be private investigators or bank clerks. They may have to fight tooth and nail for it, they may be met with heartache and danger along the way, but in the end, they get their man, and capture his heart. I love telling stories where men fall deeply in love, yearn for it, sacrifice for it, talk about it, and hope that it touches someone somewhere. For me, it's about sharing stories of love, redemption, strength, and hope with a little adventure on the side. Thank you all so much for joining the hop, have a wonderful weekend! You can read about the eBooks here. Contest ends Sunday, August 26th at midnight (EST) and will be posted on this blog Monday, August 27th. Win a Free eBook: The Auspicious Troubles of Chance! Hello all! The lovely Elisa is offering an eBook copy of The Auspicious Troubles of Chance in honor of GayRomLit. All you have to do is drop by her site and leave a comment. Contest ends August 24th! Good luck! 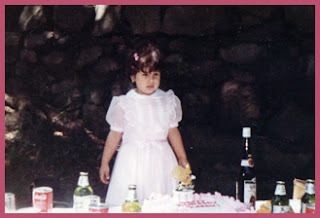 Thank you to everyone who came to my little birthday celebration, as well as those who took part in the giveaway, shared your birthday stories, amazing photos, memories of crazy-haired times, and more. You guys truly rock! So thank you so much for making my birthday doubly special! Hope you all will keep visiting. I've had such an amazing time chatting with you all, that instead of having 1 winner for Prize #3 (the eBooks) I've decided to add and extra winner to that. If you didn't win this time around, don't fret, there are plenty of giveaways coming up and I've posted a couple of them down below. Again, a big thank you to everyone who dropped by. Again, thank you all so very much for joining me. *UPDATED* All winners have been sent an email from me, so if you're on the list but haven't received an email, please check your spam, in case it's been thrown in with the emails about the lottery you won in Timbuktu. * magickfae I don't have an email for you, so if you could drop me a line anywhere, we can see about getting you your prize. Thanks! Hope you've all had as lovely a time as I have! Upcoming events with more chances to win eBooks: The M/M Romance Group Anniversary Celebration is going on now and I've donated eBooks, so just check out their thread for details on how to win. Their celebration ends August 25th. 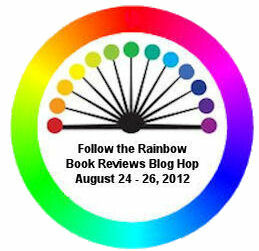 August 24th - August 26th is the Follow the Rainbow Book Reviews Blog Hop, with loads of participants, some great prizes, and some wonderful posts from authors about what writing LGBTQ stories means to us, so don't miss it! 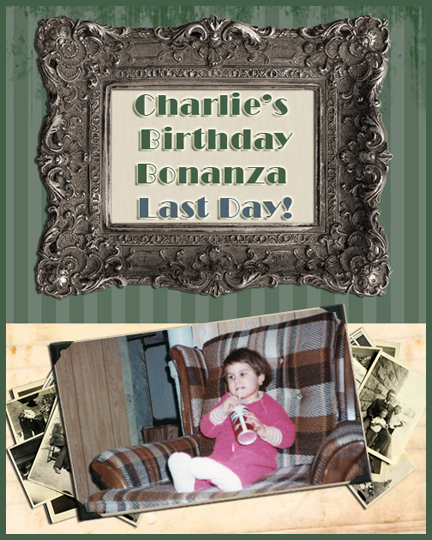 Last Day of Charlie's Birthday Bonanza! Welcome to Day 3 of my little birthday celebration! Today is the last day to enter the contest. Thank you so much to everyone who dropped by over the last three days. You all have been amazing, and have truly rocked this virtual party! Since it's the last day, I thought I'd share some old pictures of me, so brace yourself. I grew up in the 80s, and when I look back, it's astonishing I came out of it in one piece. 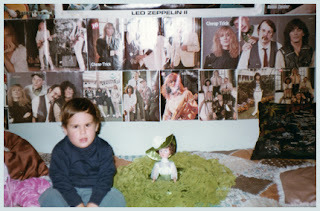 Yes, that's me 6yrs old, dressed as a Cabbage Patch kid. It was for a school play. For the life of me I can't remember what the play was about. That's when those dolls were so damn popular schools were making plays about them! And it was a Catholic school. Yep, I was in Catholic School for all of three years. For some reason, it scared the hell out of me. Especially when the nuns would take us on a 'field trip' to their house across the street from the school. I don't know what it was, maybe my inner rebel, but I remember just standing in one spot for the duration of the visit trying not to freak out. I didn't like being in there, and a good deal of the time I wanted to cry. My dad put me in public school promptly after. I think I'm about 5yrs old here, and I have no idea what it is that has me so transfixed. Perhaps it might be that ginormous bottle of alcohol standing dangerously close to my birthday cake. This is obviously before my brother was born and we had to share parties. Loving all the beer on the table mixed in with the cans of Coke. My mom was also obsessed with frilly dresses. I had dozens. 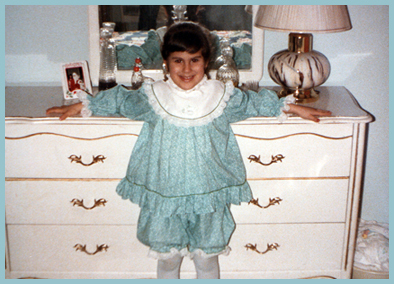 It might be why I developed an aversion to dresses, because I was ALWAYS forced to wear one! Oh my god, I've always LOVED this picture! It just sends me into a fit of laughter every time I see it. It wasn't like I was in some expansive park. This was our backyard. 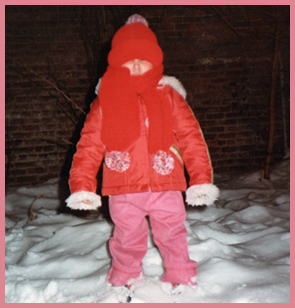 My mom dressed me like the abominable snow child to go in the back yard. I'm amazed she didn't put up the fuzzy hood, too. And where are my feet?! This is during one Halloween, which was always the best when I was a kid. Folks really got into the spirit of it. 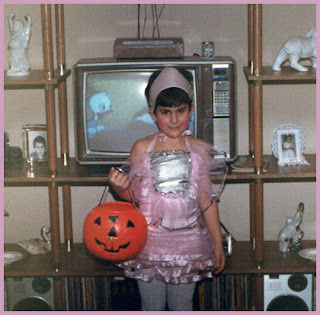 My mom usually made me my costumes. This one was bought, and I don't know who picked it. I'm going to say I was a space princess because anything else would just be wrong. If it was my choice, my mom shouldn't have indulged me. Mom, if it was yours, what were you thinking? Look at the length of that skirt! Lace stockings, and blush? Who makes that sort of thing for a 6 year old?! For those who think the skirt isn't too short, the bottom two ruffles are transparent. Yep. Nowadays, you couldn't get away with some of the stuff you got away with in the 80s. I'd also like to point out that awesome TV behind me. The silver thing with the buttons on the right of it is the remote control which stuck on there magnetically! Don't get that nowadays do ya? And the box thing at the top, it's an antenna with a bunch of buttons with different frequencies. It also has wood paneling. HD TV eat your heart out! Yes, I also had a perm. Even my bangs had a perm. I was in 8th grade. No, you will NEVER see that picture. EVER. They're locked in a vault to which I have forgotten the combination. Said vault is also at the bottom of the Atlantic. In other words, they shall never see the light of day! Muahaha. Unless you ask my mom, but then I'll have to hunt you down. For a chance to win a prize, all you have to do is leave a comment on this or any of the birthday posts. Contest closes Saturday, August 18th at midnight (EST). Via random.org, winners and their prizes will be chosen randomly and announced on Sunday, August 19th here on the blog. You will also be contacted by email to arrange delivery of your prize, so please make sure to leave an email address. Prizes include eBooks and more! You can check out what's up for grabs here. What's the craziest thing you remember about the 80s? Day 2 of Charlie's Birthday Bonanza! Hello everyone! Welcome to day 2 of our little birthday celebration! I want to say thank you to everyone who stopped by yesterday. You guys rock! How did you celebrate your birthday when you were a kid? My brother and I used to have our birthday parties together when we were kiddies, because his birthday was just six days after mine, so it made sense to my parents to celebrate our birthdays together. It also meant we always had a blue and pink cake. In fact everything was blue and pink! When you're a kid, you don't really want to share the spotlight, but somehow we managed. It was all very old school. Piñatas, cake and ice cream, pastries, pin the tail on the donkey, musical chairs, and pointy party hats. How about you? 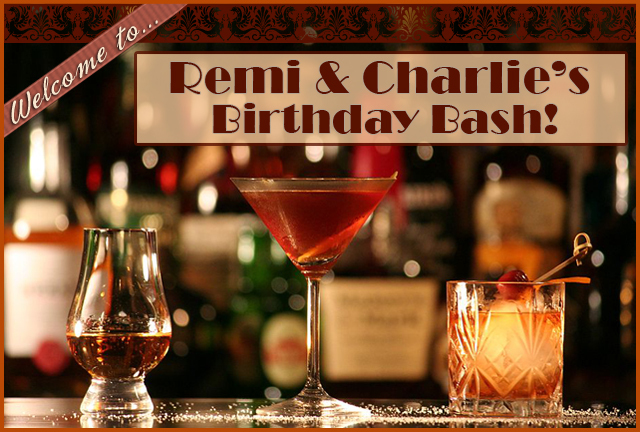 Welcome to Remi and Charlie's Birthday Bonanza! Hello everyone! Welcome to our little birthday celebration! Help yourself to a cocktail mixed by our cocktail expert: Remi. Highball anyone? How about a Sidecar, Mint Julep? If whiskey's more your thing, I'm sure Hawk will be more than happy to assist. 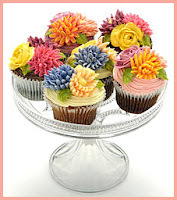 Oh, and Remi's even baked some cupcakes. Feel free to shake a leg while the Jazz is hot. I'd keep an eye on these fellas, though. A little giggle-water and the hands start roaming. Not that I'm complaining! For a chance to win a prize, all you have to do is leave a comment on this or any of the birthday posts between today-- August 16th and Saturday, August 18th at midnight (EST). Remi and I are both Leos, raawr! When's your birthday? 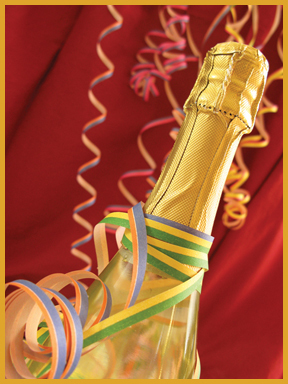 What's your favorite way to celebrate? Small and intimate with a few friends or family members, or an extended celebration of parties and weekend trips?